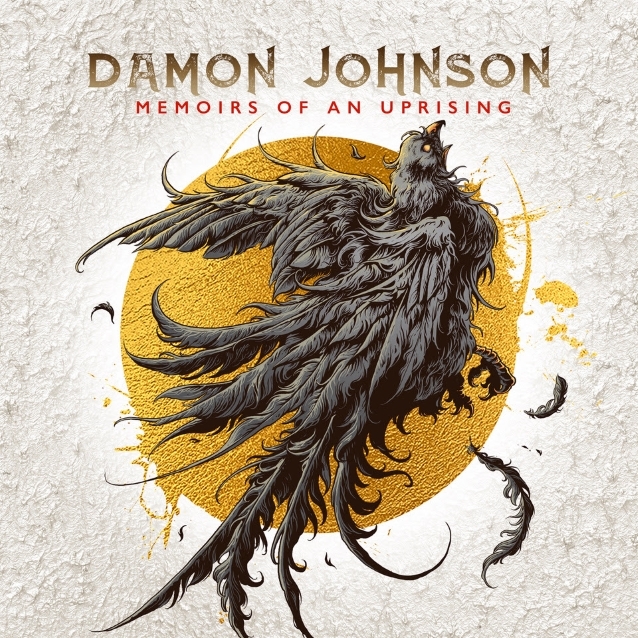 “Memoirs Of An Uprising”, the new album from singer/songwriter/guitarist Damon Johnson, will be released on March 8 via Double Dragon Records. The official Chris Hopkins-directed music video for the debut single, “Shivering Shivering”, can be seen below. After incredible runs with the bands he co-founded, BLACK STAR RIDERS and ’90’s chart-toppers BROTHER CANE, Damon Johnson found himself in spring of 2018 in a surprising position. Johnson had just completed a coast-to-coast tour with BLACK STAR RIDERS supporting JUDAS PRIEST, as well as select reunion performances with THIN LIZZY, when he realized there were two things he couldn’t stop thinking about: his family and his music. Would 2019 finally be the year Johnson gives full focus to the music he kept hearing in his mind, composing an album, a true collection of songs that represented his personal vision, plus have the final say about his tour calendar? The answer was a resounding yes. Johnson explains: “After that PRIEST tour, I was feeling anxious about some things: getting older, where my career would be in 10 years, how much time I was continually spending (mostly in foreign countries) away from my wife and our two youngest kids… plus I was sitting on a near completed solo album of the most honest music I’ve ever made. Ignoring some hard truths could not be a part of my deal anymore.” So Johnson made the decision to part ways with BLACK STAR RIDERS, finish his album, and start over… this time completely on his own name. The resulting album, “Memoirs Of An Uprising”, is a collection that is both fierce and diverse — a powerful springboard for the musician to start his next chapter. Collaborating with his longtime friend and songwriter Jim “Johnny Blade” Troglen, Johnson began assembling a group of songs in divergent tempos and grooves that appealed to his musical side and then laced them with lyrical themes of betrayal and revenge. “The first two songs we put together were ‘Shivering Shivering’ and ‘Dallas Coulda Been A Beatdown’ and I knew we were off to a great start,” Johnson says.